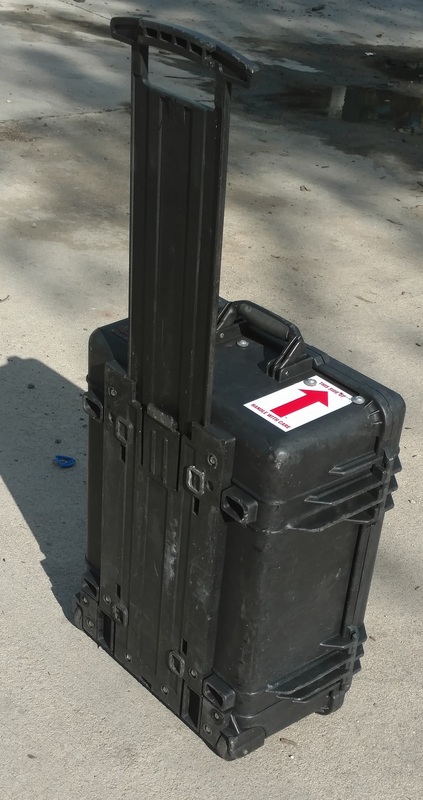 Pelican 1560 Rolling Case, lockable, 3 handles, hinged, pressure valve. Empty, no internal foam. home | about us | send email | site map | | view cart | Copyright © 2018 MGS Sales Inc. All Rights Reserved.